A San Clemente homeowner wanted a stylish, no-fuss renovation that matched their ideals of aesthetic simplicity. After seeing our past work, they knew we were the right team for the job. 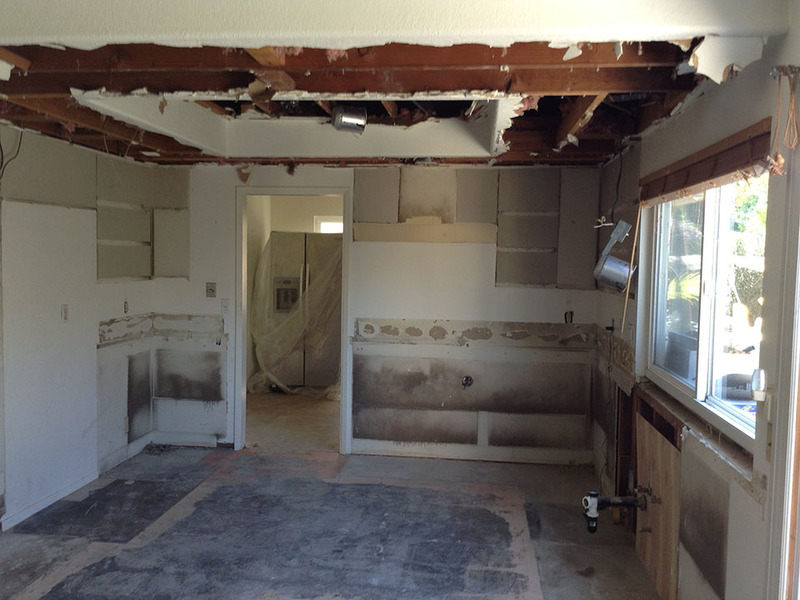 Initially, the kitchen did not have the sleekness that the owner wanted, nor did it have the level of storage capacity attainable for the space. 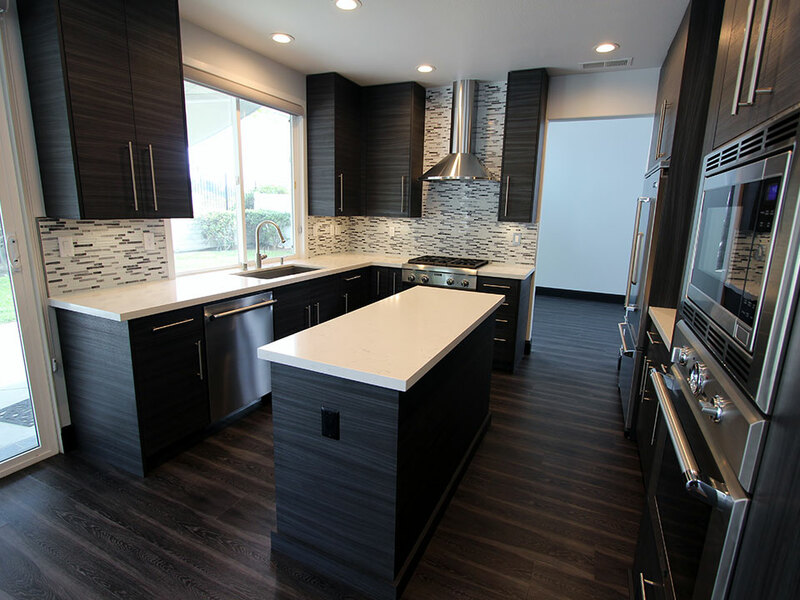 We were asked to optimize the storage space and functionality of the relatively small kitchen, all while giving it a distinctive contemporary style that could be echoed throughout the home. 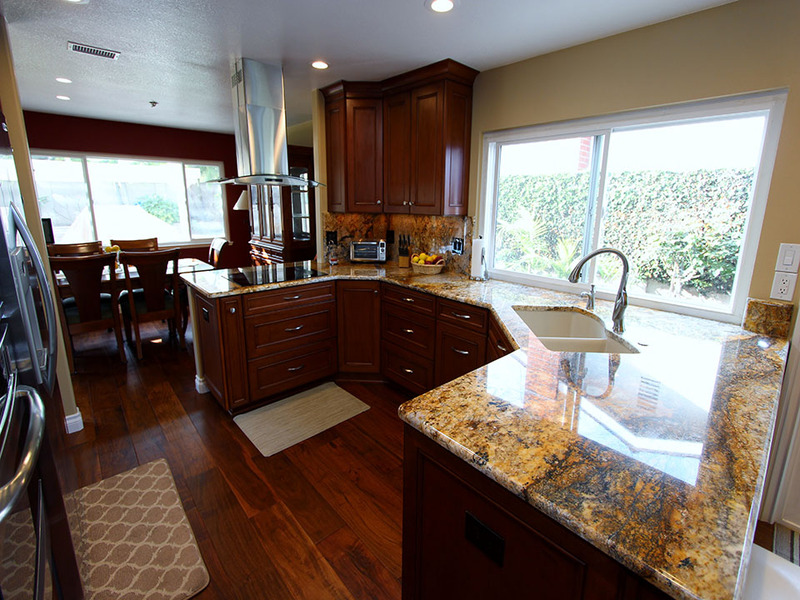 We built all-new custom cabinets from our proprietary Sophia Line. All Sophia Line cabinets are designed to be ultra-minimalistic, putting the unique beauty and texture of the individual wood finished on display. The homeowners chose a Euro construction with Slab style doors, and interiors made of domestic maple plywood and melamine. The selected finish was “Palisandrio Blue” a cool dark gray with multi-tonal striations. 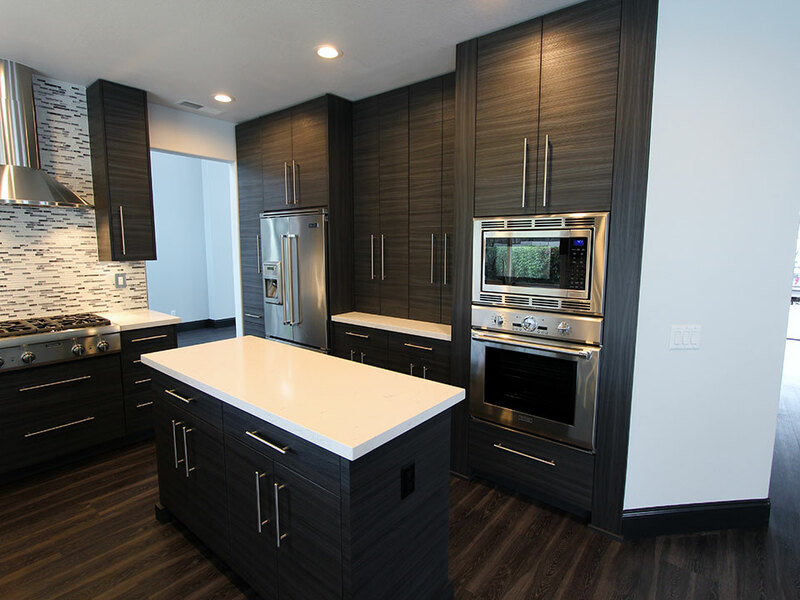 Combined with the simple stainless steel handles, the cabinets have a highly modern, upscale look. Corner fold-out cabinets free up more room, as do accessories like trays and a lazy suzan installed within the rest of the cabinets and drawers. All of the upper cabinets are affixed with light rails hidden behind the doors, adding subtle illumination to the counter space. 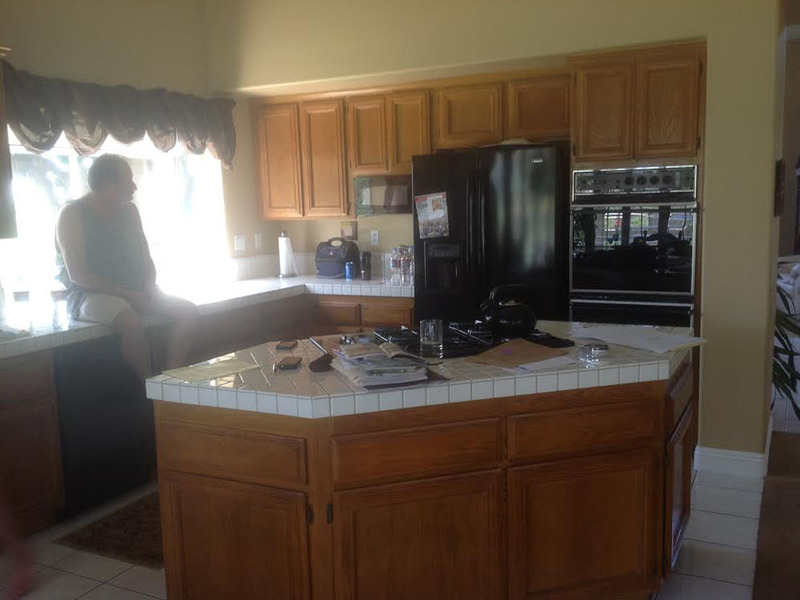 A new island was built at the kitchen’s center, featuring its own storage cabinets, as well as electric outlets for countertop appliances. Pental Venatino quartz countertops with a 1 ½” Straight edge were installed, enhancing the streamlined look of the kitchen. To construct the full-height backsplash on the walls, IDG Mosaic tiles were installed horizontally, visually widening the room and mirroring the striped effect of the cabinets’ finish. An Kohler Chef-Inspired Collection Stages Undermount Sink sits next to a Thermador Topaz 24” Dishwasher. Also from Thermador, one of our most popular premium appliance suppliers, is the 30” Masterpiece Series Combination Oven on the opposite side of the kitchen, and the 30” Professional Series Rangetop, above which is a Zephyr Savona Hood. 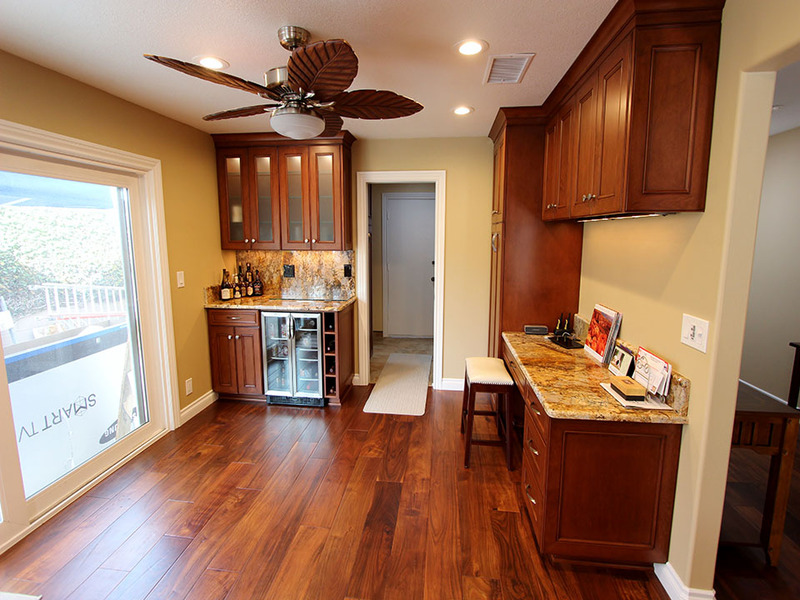 A Jenn Air Refrigerator is installed within the cabinetry, just like the rest of the kitchen’s appliances. 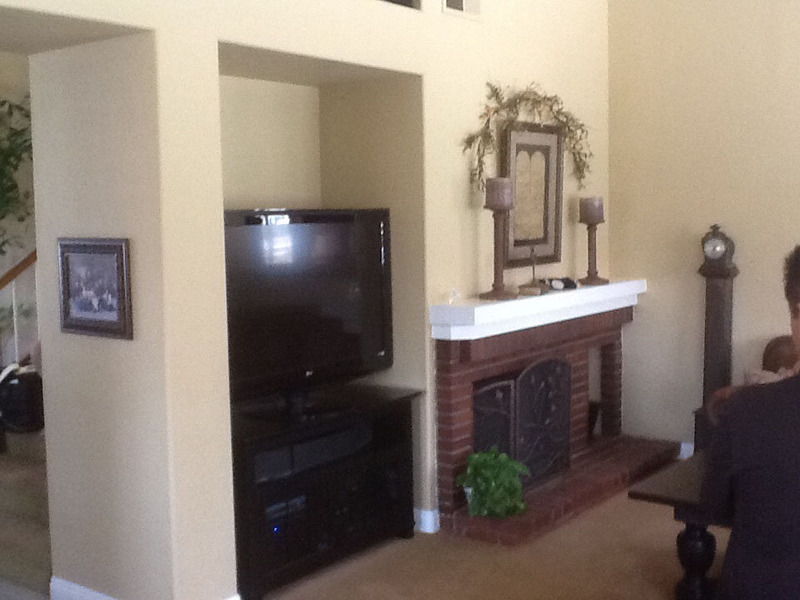 The fireplace was given a modern facelift with a smooth, dark gray tile backsplash and floor area. The wall installation was accented with a vertical stripe of narrow tiles in a darker shade, and a bold floating mantle shelf. In the bathrooms, we put in MSI Sparkling White countertops, with the same Sophia Line cabinet bases as were used in the kitchen. The master bathroom features a full-height tile backsplash, made up of thick glass rectangular tiles, staggered horizontally in three alternating shades of gray. 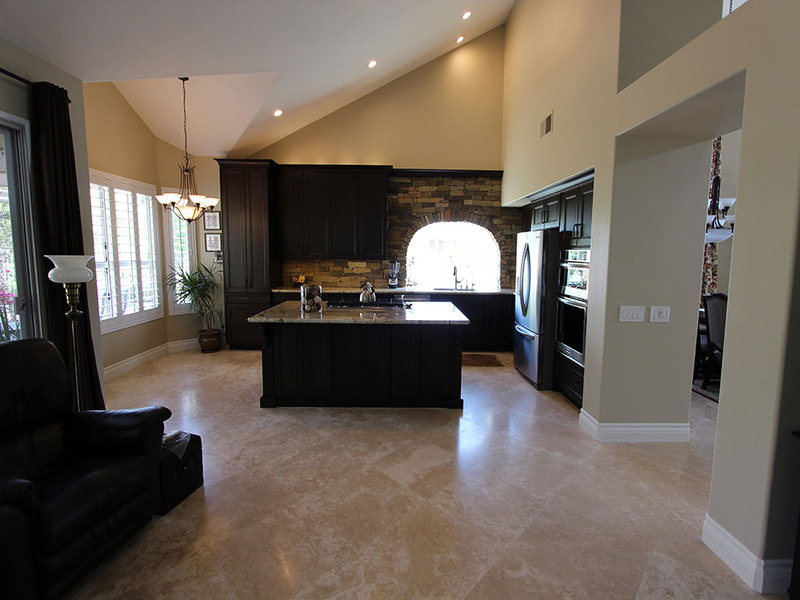 If you’d like to modernize your own San Clemente home with a contemporary renovation, get in touch with our team of contractors and interior designers today. 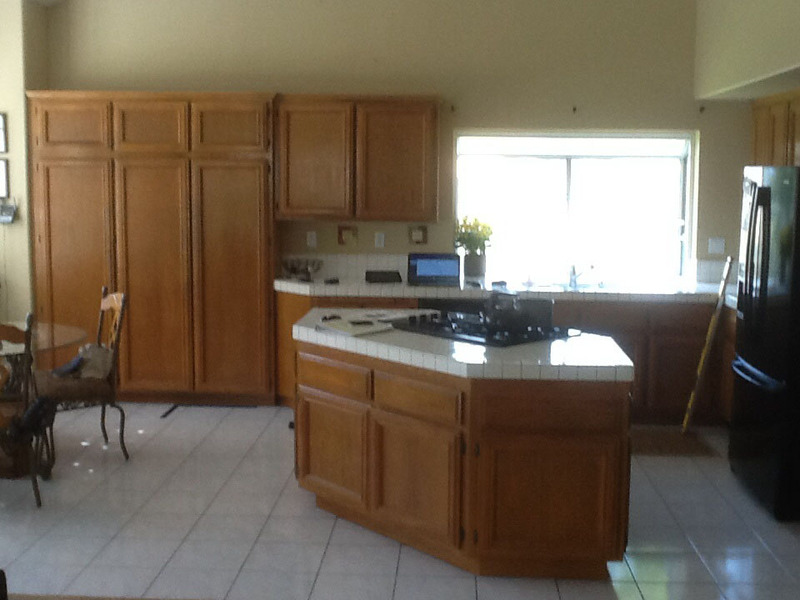 APlus is a leading home remodeling company of Orange County, specializing in kitchen, bathroom, and full-home renovations.